Spring is the season for fresh new decor. Why not transform your bedroom using our beautiful William Morris fabrics range! 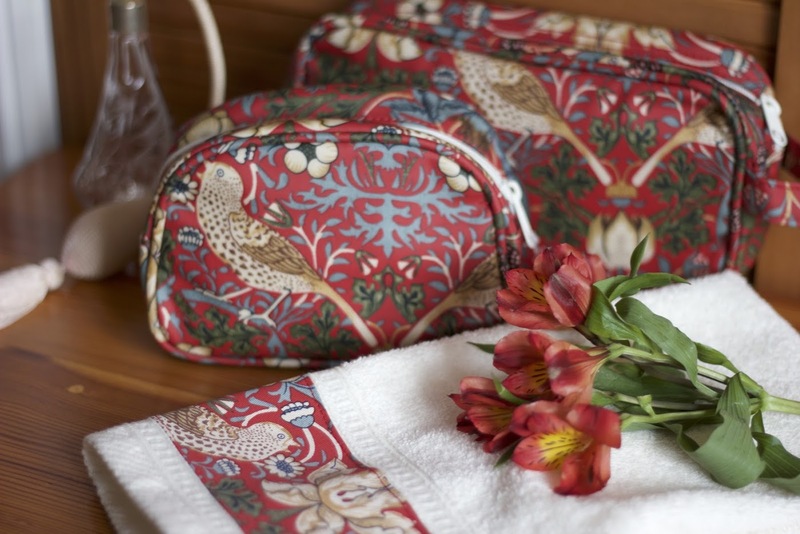 From cosmetic bags to handkerchiefs, choose from classy and practical gifts for every lady. Pick and Match yours now! Be the first to know about upcoming sales, new products and our latest designs. Dine in style with our vibrant array of table linens. 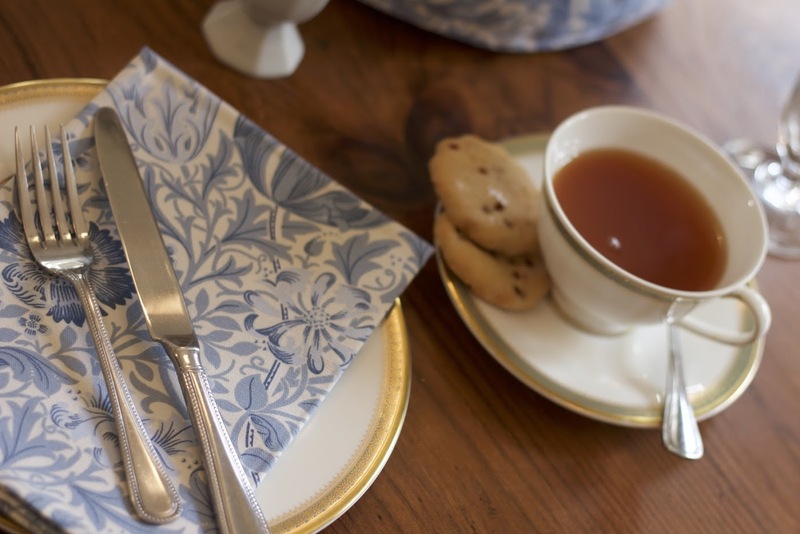 With placemats, napkins and tablecloths, there is everything you need to host an elegant dinner or just to dress your table for everyday style. Discover our range of beautiful William Morris curtains and cushions and transform your home into a cosy and elegant escape! 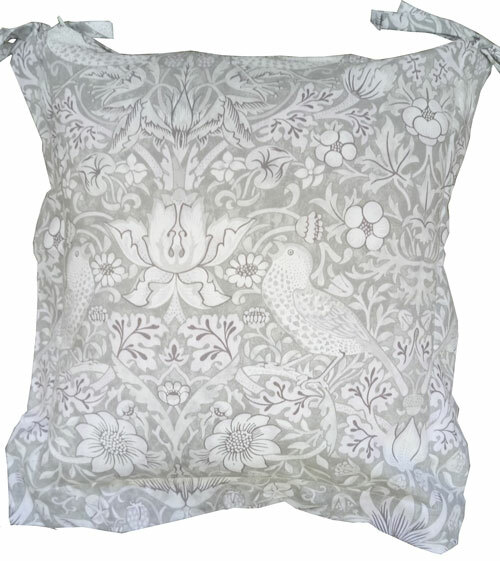 Established in 2010, Surrey Linen Company is a small, online family business. We pride ourselves on our quality products, and excellent customer service is of the utmost importance to us too. Look at the testimonials below to see what some of our happy shoppers have to say! 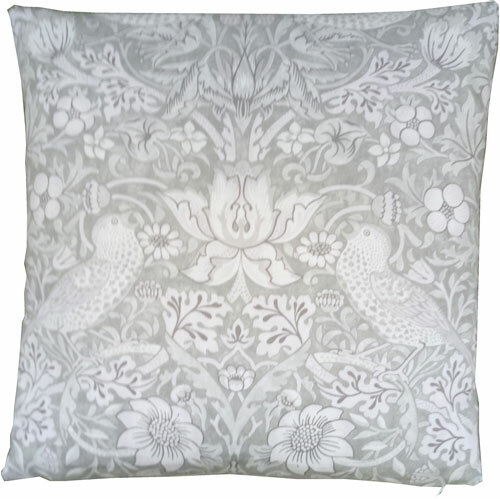 The home of fine linens, we offer curtains, cushions and kitchen/home textiles in William Morris’s most famous designs. We also stock various accessories – why not experiment with a bandana to finish off your outfit? Or, for a stylish storage solution, browse our range of cosmetic bags! Surrey Linen currently only operates as an online business, but we hope to open a small shop in future! Until then, you can contact us online here. You can also chat directly to a member of staff during office hours using the button in the lower right-hand corner of the page. Received the order today. I am very pleased with it. I received the tablecloth and cushion yesterday. They are exactly as shown in the pictures. Thank you for excellent service, fast shipping and fantastic products! Dear Sir, Thank you for the excellent service I have just received from your company. I ordered some William Morris kitchen items on Sunday, and they were delivered yesterday! There was no charge for postage, and when I phoned to see if I could exchange one of the items, the young lady was accommodating, and the replacement item arrived this morning, again with no postage charge. I am delighted with the products. Thank you. I am just writing to say how impressed I am with your speedy delivery of the William Morris Curtains which I ordered yesterday the 6th. They arrived safely this afternoon. Excellent service. 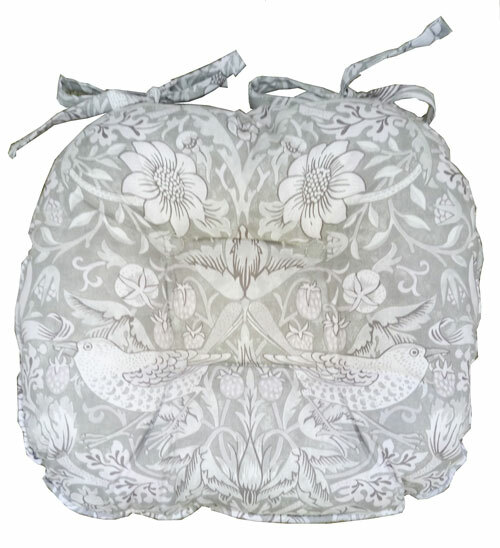 Hello Surrey Linen, I felt I must thank your Company and the lovely ladies I spoke to regarding my order. The parcel was delivered today very early morning, and I am absolutely delighted with the curtains and bolsters. Louise, you were correct, I managed to put the curtains on a pole, and they look really cottagey. The professional manner with which I was dealt with was outstanding, and I shall most definitely recommend Surrey Linens to my friends. Thank you once again, and when necessary, I shall be buying from you again. Just a note to say my order for handkerchiefs arrived this morning – I am very pleased with them, good quality and they have washed and tumble dried really well. Thank you. Thanks very much Lisa! It was delivered before 9 am this morning! Excellent service and products. Hey there, I just wanted to say a huge thank you for both the feedback you’ve left for me & the speedy dispatch. They are much appreciated. I’ll drop you a line when the order arrives & will, of course, return the compliment with the feedback. Thanks again. 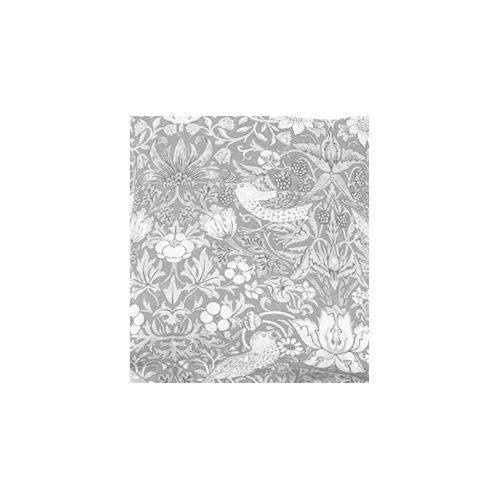 Dear Sir, This is to say thank you so much for supplying the William Morris design towels. I ordered them late on Monday afternoon and they were here by Tuesday lunchtime. There are very few firms that offer this level of service so thank you so much. The replacement tablecloth has just arrived, thank you. Your swift response to the wrong size being sent is much appreciated. I recently purchased two sets of embroidered hankies for my 92 years old aunt for Christmas. I would like to say how good the quality of this product is. 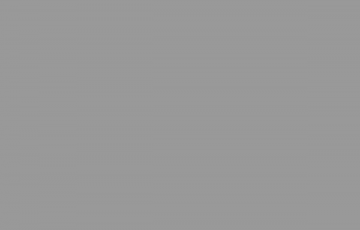 I have recommended Surrey Linen Company to my other friends and family. I would just like to say thank you for your prompt response to my order. The handkerchiefs arrived on Thursday 17th October and they are beautiful. Thank you for your excellent service.